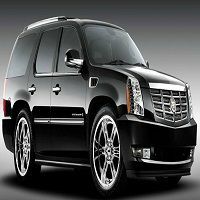 Premier Limousine - Www. premierlimo. mobi is a Home of Quality limo services in Orlando area including Wedding & Parties, with the Largest Fleet of the Newest Vehicles. You should only opt for our service for renting your desirable vehicle as we are offering finest car service las vegas with amazing amenities at really affordable prices. We have best car fleet in the industry and we promise that you won’t face any sort of inconvenience with comfort or luxury while riding in our vehicles. Free quote service! Lowest rental plans! Book now!